World Backup Day 2018 is being held on the 31st of March and is designed to promote awareness around the importance of keeping backups of your business data in the event that something happens and you lose information. Business Backup is simple and affordable, yet so few businesses backup their data! 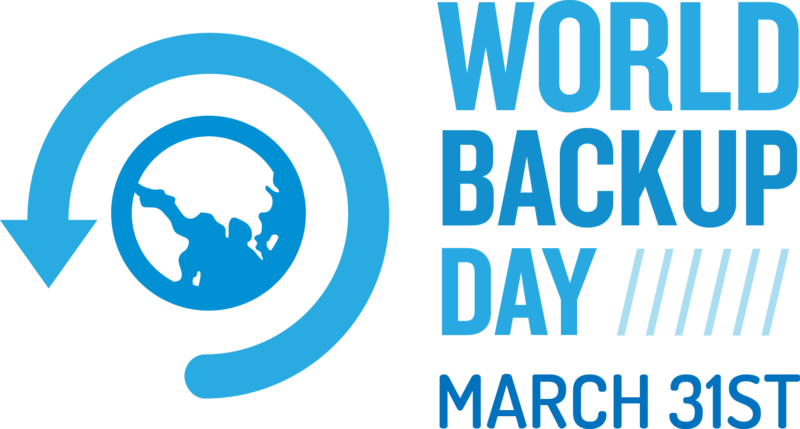 So we’re doing our bit to promote World Backup Day this year and encourage more businesses to backup!. A backup is simply a copy of your important files; backups are (usually) stored in a separate location to your computer (best practise!) so you have a copy in case something happens to your computer. In short, to anyone who stores data, especially businesses, they ensure they’re backing up all their data. What happens if we don’t backup? A lot of people say why? We’ve never lost it before. Is it worth the risk? What’s the cost to your business? Financially? The heartache? How long has it taken you to build your business? How long would it take to rebuild your business if you lost EVERYTHING?! Consider it like insurance…. Insurance with a car…. You don’t have an accident before taking insurance do you? It isn’t always our fault and we don’t intend on having an accident. We insure the car on the basis that we hope that we will never be in an accident, but should it happen, we are covered. Think of business backup the same way. Back it up on the basis that you may never lose your data, but if you do, lose any data, if you are hacked, if your hardware fails or a fire destroys your business premise, be confident that you won’t lose your entire business – it is worth the peace of mind. What do you stand to lose if you don’t backup your data? Tax information, business documents, financial records, customer orders, spreadsheets, forms, customer information that you have spent years compiling and creating. What happens if you lost all of those in seconds? Losing all your data, therefore losing all of your business information and starting again happens more commonly than you think! What’s the benefit of a backup? If you have a backup, should the unfortunate happen and all your data is lost, you will be able to simply, quickly and easily restore all your data. Back to business as usual in very little time! The benefits that data backup can have on your company! Higher Reliability – One of the greatest benefits of regular remote data backup is the reliability it provides. Remote backup can be automated and updated daily basis, or you can set a time. Because the backup is done via the Internet, should you need to, you can recover files quickly. Easy Set-Up – Set-up isn’t as difficult as you may think. You can set it up and automate it; while resting assured that all your data is protected, backed up and up-to-date. Increased Security – Having a remote backup means your data is stored in a secure location. You can often encrypt your data so only the person with the ‘key’ can unencrypt your backups giving you confidence knowing that your data cannot be compromised. Peace of mind – Leave the office at night knowing your data is backed up and in safe hands. So you’ve made the decision that Business Backups are a great idea. Great! Not only has World Backup Day done its job, but you’ve taken the first step to protecting your business. So now you need to get started – that’s where innoTel can help. innoTel offers an affordable online business backup service which allows you to store your backups offsite allowing for quick recovery of data for when you need it. For as little as $7.95 per month, you can start backing up your important data. It’s a small price to pay for peace of mind – cheaper than an insurance policy (that won’t recover the data you lost if you weren’t already backing up your business data!). Backup any type of Windows, Mac, Linux computer, laptop and server or a Synology NAS quickly and easily. Set-up only takes a few minutes. If you currently store your business data in Dropbox, OneDrive or Google Drive, you can also ensure you have a backup of those documents with the innoTel backup service. Need to backup Office 365 Mailboxes, Exchange databases, SQL databases? We’ve got that covered too (additional fees apply). innoTel Online Business Backup is your flexible backup solution for your critical data. NBN CEO, Bill Morrow, recently announced that it was putting the rollout of its Hybrid Fibre-Coaxial (HFC) connections on hold while it reviews and fixes issues around the per performance experienced by end users. This move has come about after NBN’s admitted to making a mistake with the HFC mistake rollout; prioritising activations/connections over ensuring the network was up to the task. Issues related to speeds, dropouts and migrating customers to the HFC network have been noted as the specific issues to fix. NBN warned that there could be a delay of up to 9 months while it reviews and remediates the network. A spokesperson from NBN said, “In order to meet a higher level of service quality, NBN Co will be performing advanced network testing and remediation where needed, including connector replacements, signal amplification calibration, and lead-in work as required”. This rollout largely impacts the inner city suburbs of Melbourne and Sydney but also affects many premises in Brisbane, Adelaide and Perth, including small businesses that are in the HFC footprint. NBN noted that connection requests placed before the middle of December 2017 would progress as per usual, however, will not take new orders after this date until NBN is satisfied the issues are resolved. NBN also noted that an update could be expected around February 2018 and during the process, existing connections will be reviewed and fixed where required. On a technical note, one of the issues NBN experienced was with the connectors (sometimes called joints or taps) often found located up on the utility poles, which connect customer premises to the network. A majority of the HFC networks in Australia were rolled out in the 90’s and early 2000’s, so some of these connectors could be over 20 years old. Another issue was with the spectrum band NBN was using to deliver its super-fast broadband service. Some experts and critics suggest that the spectrum being used (15-40MHz) for the NBN network is not designed for super-fast broadband and is more prone to interference versus other spectrum ranges used on the cable network (Telstra Cable and Foxtel Pay TV). Other technical issues cited were focused around those in the customer premise, particularly the wall plates, which can be moved about and loosened as people connect and disconnect cables a the wall plate, making them unstable. While it’s frustrating our customers have to wait to be connected to the NBN, we would much rather the network be in tip-top condition and customers receive the service they’re promised, rather than a sub-par service. We wait for further updates from NBN on the progress of this remediation effort. From the 1st of July 2017, nbnCotm have made changes to their installation policy for nbntm Hybrid Fibre Coaxial (HFC) cable connections, notably introducing Self Install for HFC connections. These changes affect customers who have previously had a Telstra® or Foxtel® cable service installed at their premises, the cable from the utility pole to the wall plate is to known to be in good working condition and is connected to a wall-plate with the customer’s premises (otherwise known as Service Class 23). If this best describes your premise, then it’s likely this change affects you. But it’s not all bad! Essentially, if you are one of these customers, nbntm’s policy is to now send the nbntm equipment, known as a Network Termination Unit (NTU) directly to the customer for Self-Installation, rather than sending out an nbntm installer to connect the NTU to the wall plate. These NTU’s are essentially cable modems (pictured right), which are relatively easy to install. Why did nbncotm make the change? There are plenty of reasons why nbntm might have made the change, but we don’t see it as a bad thing for customers; in fact quite the opposite. While the downside is that you’ll have to install the NTU yourself, which isn’t that difficult, the change should result in customers getting connected to the nbntm in a quicker time frame as they don’t need to schedule a site visit from an nbntm installer, which can cause delays in areas where there is a limited installer work-force, or there is a back log of installations. Can I request an nbntm installer to come out an install the NTU for me? Needless to say, the Self Install for HFC connections option is a far cheaper than a professional installation. If you’re located in Melbourne, innoTel can perform the installation for you at no cost, which includes setting up your modem/router and connecting it to your network. If you’re not located in Melbourne, we can arrange for one of our contractors to visit you on-site and install the nbntm hardware, which does incur a charge. If you have an I.T. person that looks after your network, they may be able to assist. However, it’s really not that difficult to do and it’s as easy as plugging in a broadband modem, which you may have done a few times before. If you’re keen to give it a go, check out our nbntm HFC Self Install Guide which walks you through the Self Install for HFC connections process. Looking for a small business NBN provider? Speak to us today! nbntm, Telstra® or Foxtel® are registered trademarks of their respective owners. The technician will arrive during the timeframe you were provided after submitting your order. As we mentioned in part 1, technicians may not call prior to their arrival or to let you know roughly what time they’ll arrive so expect them to arrive within the time-frame window. As with any contractor that arrives to perform work at your premise, you should request to see their identification. They should also walk you through what may be required for the installation. At this point, you can discuss with the technician the preferred location of any equipment related to the nbntm installation. Keep in mind, if your chosen location results in what is called a ‘Complex Installation’, the technician will provide a quote to you for the additional costs incurred outside of a standard installation. What will the technician will do on the day? What the work the technician performs on the day depends on the technology type that nbntm have rolled out in your area and ‘Service Class’ of you premises (the current ‘nbntm’ status of your premises). install a Network Termination Unit (NTU) inside your premises. During this process, the installer may need to make modifications to your premise, including fixing the required hardware to the interior and exterior. Most nbntm technicians will install your modem/router for you; however some may leave this for you to do yourself. We provide instructions on how to install our modems with all nbntm technology types making it simple for you. In addition, the technician should clean up after installation and they may show you the work that has been completed. Can I specify the location of my NBN equipment? When the nbntm technician arrives, you should discuss with them the most appropriate location for any nbntm equipment, which may include a Network Termination Unit (NTU), Wall Plate or both. What happens if there is an issue on the day? If the technician comes across an issue when attempting to connect the nbntm to your premise, they may need to request to reschedule a connection date & time. They won’t do this with you directly instead, they’ll notify nbncotm of the issue so they can reschedule with us. We will then communicate the new date and time to you. Many of our customers ask us what they should expect with the nbntm installation process and while it differs for a lot of customers, we’ve come up with a 2 post series to give you some insight on the process and what to expect. Here’s part 1. So you’ve ordered your nbntm connection and it’s the day of installation – what should you expect to happen? Well, let’s first look at whether someone is required to come out and install an nbntm connection for you. Do I need a technician to come to my premises? If your premises has had an nbntm connection in the past, you have previously had a Telstra Cable or Foxtel delivered by cable (in the case of HFC technology areas) or your area is using Fibre to the Node technology, then its highly likely an nbntm technician is not required to attend your premises. More about that in a later post. If you’ve not had nbntm connected previously or never had a Telstra Cable or Foxtel delivered by cable before, then in most cases you’ll need to have a technician come to your premise. There are some exceptions; however we’ve covered roughly 95% of cases above. If you’re still reading on, then it means you most likely need a technician to come out and perform some level of work. When you order an nbntm broadband service through innoTel, we can tell you whether an installer needs to attend your premises. Each premise is categorised into a set of ‘Service Classes’ denoting the status of your premises and from that, we can determine what’s required. Once you’ve submitted your order to innoTel, we’ll lodge your order with nbncotm and await their response of a next available installation date and time. Once we have this information, we will notify you of these details. In addition to the installation date, the time provided will be a timeframe of when to expect the nbntm technician to arrive. This will generally be either 9am-12pm or 1pm-5pm. Keep in mind that technician may no call prior to their arrival or to let you know roughly what time they’ll arrive, so we always recommend being available for the whole day in case they arrive early or late. The timeframe is also not indicative of how long the installation will take. Each premise is different and some may require more or less work to be performed. When you submitted your innoTel nbntm order, if you purchased an nbn modem/router through us we will ensure this arrives to you as close to the nbntm install date as possible. 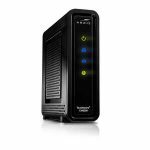 If you have elected to provide your own modem/router, you’ll need to ensure this is purchased, configured and ready at your premises for installation day. Sounds pretty straight forward; however if you’re in a building complex you may need to arrange access to areas like a communications cabinet or Multi-Distribution Frame (MDF), which are typically located on the ground floor or in the building’s basement. A spare 240v general purpose outlet (GPO / Standard power socket) will be required which will be used for the nbntm Network Termination Unit. In addition to the above, someone over the age of 18 must be present at all times during the installation. Did you know it was National Privacy Week 2017 this week? In the wake of a few large businesses experiencing privacy breaches over the last few years, people are more concerned about privacy these days than they ever have been. Check out the Australian Community Attitudes to Privacy Survey results in info-graphic form from the OAIC. According to the OAIC survey results, 58% of people decided not to do deal with some businesses because of security concerns. As a business, how are you making sure you customer’s private data is sensitive? Do your customers expect that their private information is secure? Do you or your customers place any emphasis on privacy when dealing with each other? A great tool for your business could be the Privacy Impact Assessment (PIA) eLearning program, which allows you to conduct your own privacy assessment and understand privacy risks and the strategies you could develop to help address the risks. Take a look at the Privacy Awareness Week 2017 website hosted by the Office of the Australian Information Commission to see how your business can become more ‘Privacy Aware’. Melbourne, Australia — May 12, 2017 – innoTel today announced that it is now offering nbntm HFC connections to Australian Small Businesses. InnoTel announced today that HFC broadband connect for small business was now available to order for premises that are Ready for Service on the National Broadband Network. nbntm expects that nearly 1 Million premises will be Ready for Service by June 2017, giving the network a huge boost in premises-passed and customers the benefit of connecting to super-fast broadband. Over time the nbntm HFC network is expected to service 2 Million premises Australia-wide, making up 25% of the overall nbntm connections. HFC, or otherwise known as ‘Hybrid Fibre Coaxial’ or simply ‘Cable’ is one of the technologies previously deployed by Pay TV operators in Australia to distribute TV signals and Broadband services, with most of the cable having been rolled-out in metropolitan areas across Australia. innoTel will offer the most popular nbntm broadband speeds of 25Mbps / 5Mbps and 100Mbps / 40Mpbs. All innoTel nbntm connections come with a static IP address. “Adding HFC as an nbntm connection quickly expands our nbntm footprint and allows a lot more small businesses to take advantage of our great business pricing and our 100% Australian based staff guarantee. Access to nbntm HFC also compliments our VoIP services, particularly our Hosted PBX product. With most ADSL2+ connections, it is difficult to run more than a handful of concurrent calls over VoIP and this opens that right up for more customers.” Sims added. See if your premise is nbntm ready with our nbntm service availability checker. View our nbntm small business plans and pricing. About innoTel: innoTel Pty Ltd is a leading small business telecommunications provider offering a comprehensive range of broadband, voice, data and cloud products and services in Australia. innoTel offers nationwide coverage through its partners and operates its own VoIP network deployed in Melbourne, Sydney, Brisbane, Perth and Adelaide. Focused on providing solutions to Australian small businesses, each innoTel customer deployment is custom built for purpose and aims to lower operating costs, provide productivity gains and achieve high reliability. innoTel news and information are available at the company’s web site at www.innotel.com.au. NBN Shorts: Looking to make your small business more efficient? The Forge Pizzeria shares their story on how the nbn™ network helped them improve efficiency and spend less time on administration tasks. NBN Shorts: How can you small business deliver better customer service? See how the nbn™ network helps Mayfair Property Management deliver exceptional customer service and reach their business objectives.